La Duna Ecology Center – Reconnect, Renew and Rejoice! 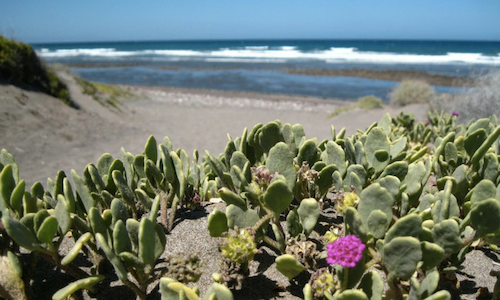 La Duna is a hidden gem along Baja’s majestic coast. We are known not only for our amazing beachfront setting and organic, locally-sourced food but also for the truly unique energy that comes only from being completely off the grid. 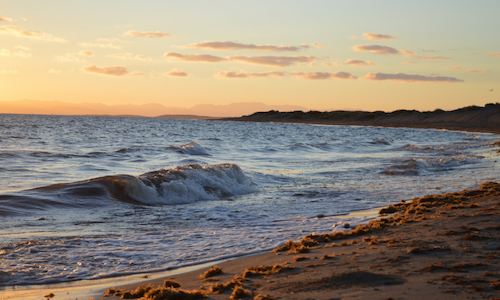 La Duna is set on one of the most beautiful stretches of beach in Baja. 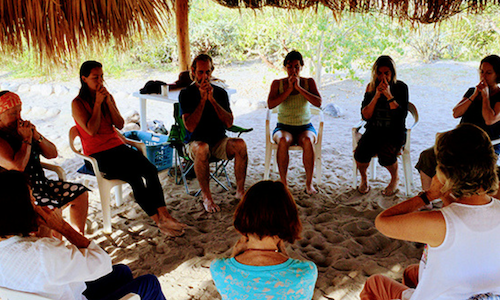 Our eight eco-casitas and open-air palapas makes this a perfect venue for groups of every budget. All retreats include delicious healthy food with the option to add on spa treatments and tours to explore natural beauty of the area. Let us help you plan your next retreat in a natural paradise. 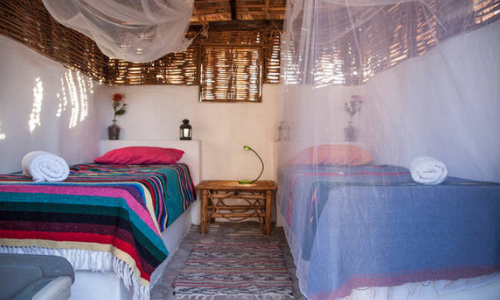 Our 8 beautiful desert eco-casitas are perfect for two people and have stone floors, stucco walls, and thatch roof. There are solar powered lamps in each room and a side table. 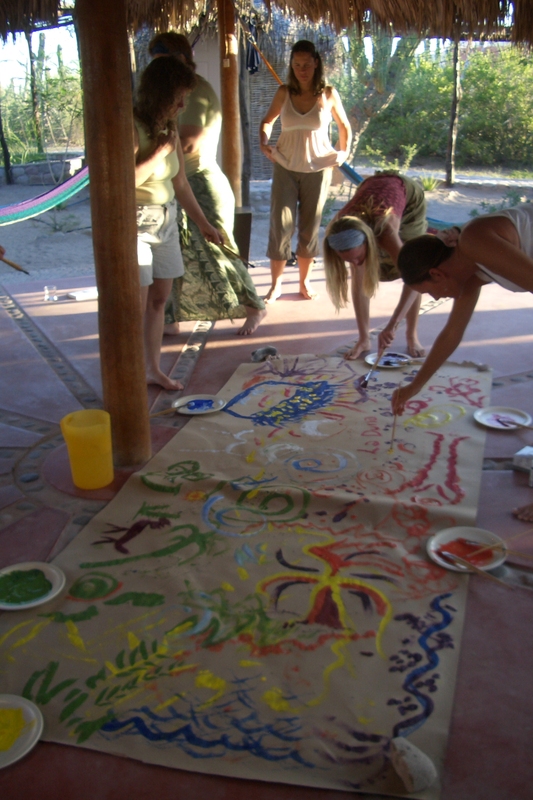 Casa Calma is our private casita, an on-site bungalow that is perfect for retreat leaders. It is equipped with a queen bed, couch, an outside kitchen, gas stove and inside shower and bathroom sink. Learn sustainable practices to transform and reweave our lives back into nature. La Duna Ecology Center is focused on nature education, wellness retreats, green technologies, environmental education, and research. 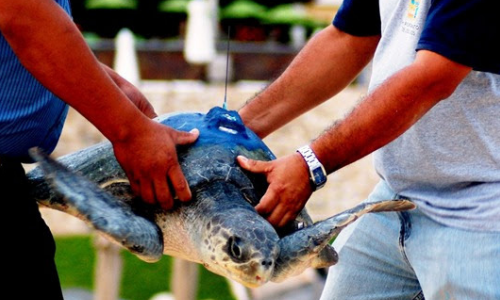 We work closely with local conservation non-profits with science and research programs based at our Ecology Center. All are welcome to join! Citizen science is the practice of public participation in recording species of fauna and flora to advance scientific knowledge. La Duna is base-camp for scientific research perfect for integrating citizen science and tourism activities. La Duna was consciously built to avoid building or impacting the coastal dunes and limit the impact to the coastal scrub. La Paz is a unique, off-the-beaten path destination for nature lovers! Enjoy the contrasting combination of desert and sea life. 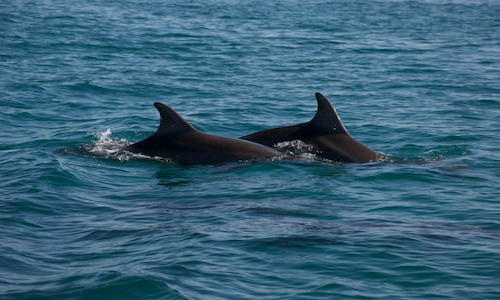 Nature encounters with whales, sea lions, whale sharks, and many more sea wonders, contrast with hiking and horseback riding in the ancient deserts and canyons. Explore our variety of outdoor activities that let you appreciate the natural bounty of this land. We are located in one of the Gulf of California's most beautiful coastal landscapes, just 40 minutes North of the city of La Paz, on the coastline bordering its Bay. We are close to the city but secluded enough to enjoy a star laced night sky, the undisturbed view of whale dwelling islands, and multicolored ancient mountains. Nature will lead your experience here, as you relax and allow it to touch you deeply. We strive to provide an environment of peace and simplicity, incorporating the creative participation of the local community and using sustainable technologies to supply our needs. Eight eco-friendly rooms are available for our guests. Our 8 beautiful desert rooms for two people have stone floors, stucco walls, and thatch roof. Solar powered lamps and a side table are available in each room.